Coco was released in 2017 by Disney Pixar, and the 3D computer-animated series is based on Le Unkrich’s original idea. The story revolves around Miguel, a 12-year old boy, that seemingly wanders into the Land of the Dead. Taking advantage of the strange coincidence, Miguel is on a mission to help his great-great-grandfather return to the land of the living. Something straight out of Mexican folk art, the film follows the Day of the Dead, a great Mexican tradition, and takes its own spin on things. 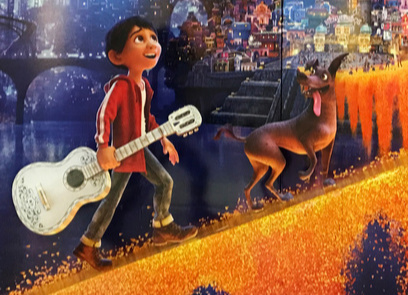 Coco has been inspired by art, and you’ll see that Day of the Dead is the obvious theme of the film. A Mexican art and tradition, Day of the Dead is a Mexican holiday that stretches over three days and starts on October 31. 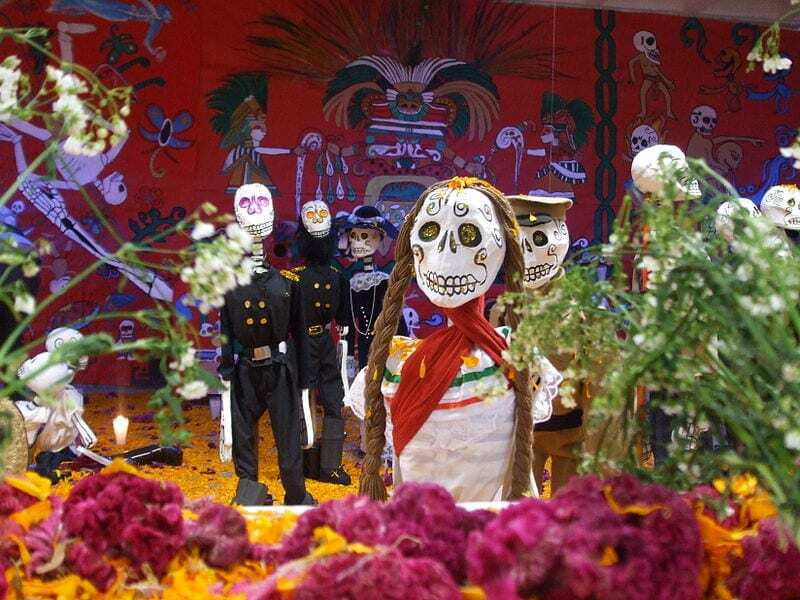 The holiday is also called Dia de los Muertos, and it is a gathering of friends and family. When together, everyone will pray to remember friends and family who have died. Miguel is painted up in a traditional Day of the Dead manner when he crosses into the Land of the Dead. While the exact date of this tradition is unknown, we do have some evidence that the tradition dates back to the Aztecs. But we also know that celebrating the dead is something that dates back a very, very long time. Civilizations have honored the dead for 2,500 – 3,000 years, possibly longer. A lot of affordable art is created at this time, and Coco has made the tradition more well-known outside of the Mexican art gallery and culture. You can buy art that showcases the holiday, including sugar skulls and skeletons. Beautiful and colorful, you’ll find many spirit animals in Coco. What you may or may not know is that these spirit animals are a form of art from Oaxaca. You'll find many alebrije carvings and pieces online. There are also neat paper mache alebrije. But this form of art is not often associated with the Day of the Dead, although it fits into the concept very well. Vibrant colors and nature allow these pieces, first inspired in the 1930s by Pedro Linares, to flow perfectly in the film. Both ugly and terrifying, the pieces are vibrant and have continued to be a hit from Linares to Frida Kahlo and Diego Rivera. You'll find that many street markets will have these pieces on sale, and they’re crafted by artisans in different regions of Mexico. A Mexican spiritual protector, the Xoloitzcuintles is the hairless dog breed that you’ll find by Miguel’s side in the film. Properly called Dante, these dogs are a part of mythology that the Aztecs have passed down. If you pay close attention to the film, you’ll notice that Dante remains the same throughout the entire film. The writers of the show got this right because even when Miguel enters the Land of the Dead, Dante remains his normal self. Why? He is a spiritual protector, and since he is already a mythical creature, he doesn’t change form. You'll even see modern artists add Xoloitzcuintles into their paintings. 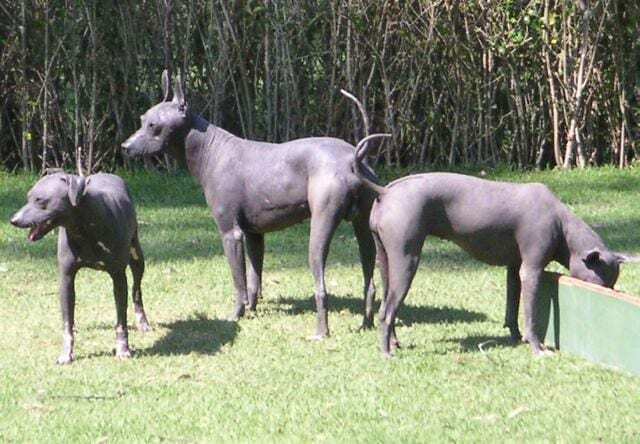 Note: Xoloitzcuintles are actual dogs, so you can find them roaming the streets of Mexico. But they are also thought to be spiritual protectors, and this has been seen in Coco and in many forms of art throughout the centuries. Ofrendas are the center of the Day of the Dead, and this is the actual altar that is seen on the day. What this altar symbolizes is the actual link between the living and the dead, and it’s used as a way to honor the dead and as a tribute. 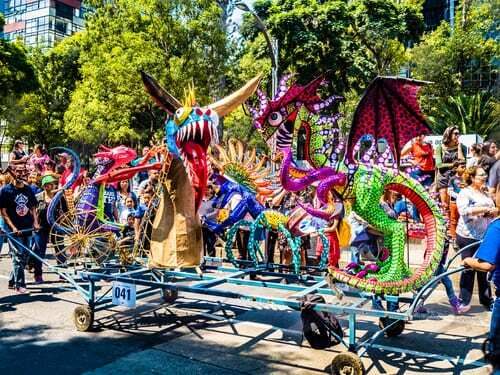 Every household will have their own form of an Ofrenda, and you’ll find them in offices, schools, museums and schools in Mexico. Public spaces may also have these amazing displays, and they’re as beautiful as they are mythical in nature. You may also hear that some people believe that the altars also represent the holy trinity. There are other versions of ofrendas that will have seven stages, which a person’s soul is believed to pass through. Every alter is different, but they will include a meal that is given to the dead, along with photos, flowers, candles and sugar skulls, among a variety of other items. Coco has brought many of these great art forms and traditions to life. Even the clothing and design of the products are tied into Mexico’s culture. You'll find many small points in the movie where Miguel does something that is very traditional, and even when he brings in the pan dulce, this is very symbolic of what really occurs across all cultures that celebrate the Day of the Dead. 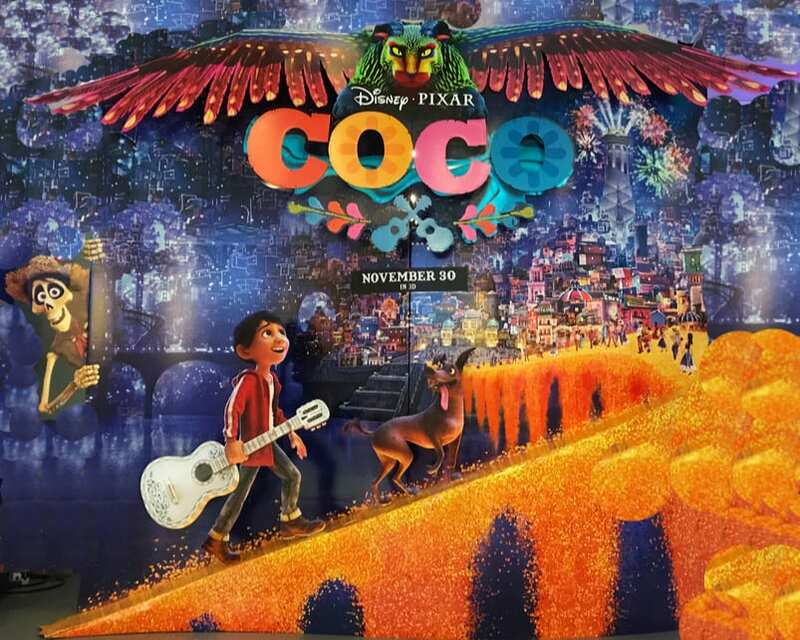 Coco is a true representation of art and culture, and it is also a great way to get a much better understanding of Mexican culture and the famous holiday that celebrates the dead.